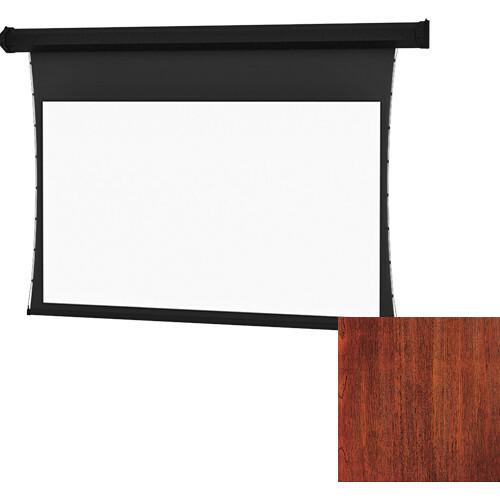 The Tensioned Cosmopolitan Electrol 52 x 92" 16:9 Screen with Da-Tex Surface (Mahogany Veneer, 120V) from Da-Lite is suitable for wall or ceiling mounted installations. Da-Tex is a vinyl, gray, rear projection surface that works well in high ambient light with a reduced viewing angle. It offers high transmission and low reflective values for optimal viewing. It also yields high color rendition and image contrast and has a cone of 60° with a gain of 1.3.